The goal of xeriscaping is to reduce the water requirements of a planted area as well as its overall maintenance requirements (weeding, watering and trimming). How is this accomplished? As an experienced design and maintenance, landscape company in Ottawa we use a proven multi step approach. First, we visit your property to assess the overall lighting or sun availability, the soil conditions, and the existing landscaping. 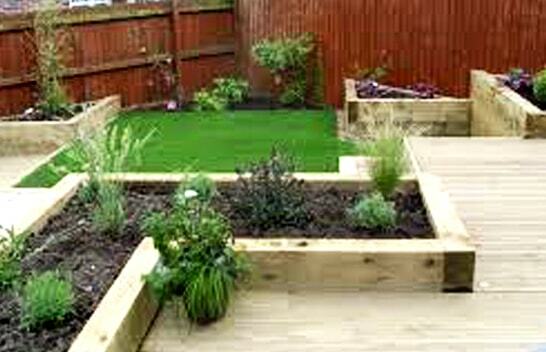 We meet with you to discuss your aesthetic preferences and the level of ongoing work you would be comfortable with for your new garden. Based on your preferences, we design your new low maintenance garden and we provide you with the design outline for your acceptance. When you contract us for design and installation of the project, the initial consultation and design service is very reasonably priced starting at $150.00. It includes the site visit as well as up to 2 revisions of the design. We will use in our design and offer plants that are supplied by Ontario growers with a proven track record and which are appropriate for our Zone 5 climate. I want you to be pleased with your new landscape project and thus will not include less hardy plants. More delicate plants, although beautiful are not as well adapted to endure and thrive in our sometimes harsh Ottawa climate. After the design is approved by you, we will will provide you with a quote for our installation services. Once we are on the same page, we schedule the installation of your project. We follow strict installation protocol which includes soil preparation, transplant fertilizer and mulching of the newly planted area. We are proud to offer a full 1 year warranty on any perennials, shrubs and trees we plant at your home when done with our full installation protocol. As the owner I am so confident in our planting services that I am perhaps the only landscape gardening firm that will offer a 1 year warranty on thuja occidentalis (cedars shrubs or hedges) that we install for you. If you decide, that you would rather have professionals taking care of your new garden, talk to us! We will be happy to arrange scheduled garden and flower bed maintenance visits for you thorough our Ornamental Garden Maintenance services. As interest in the health of butterflies has increased we have begun offering a design and planting service to create your own flowering perennial garden that will attract and feed butterflies for a good portion of the spring and summer. We select only hardy flowering perennials which are known to attract and feed butterflies with the nectar they produce. All flowers, shrubs and trees are supplied by reputable Ontario growers and are Zone 5 approved. 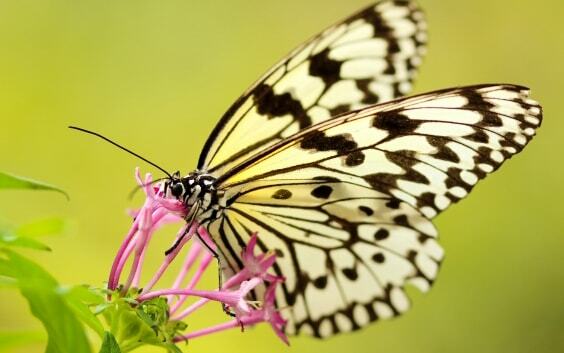 Typically the butterfly garden we will design and plant will incorporate plants which will bloom through most of the season by selecting hardy perennials with staggered blooming times.